Descendants 2 is right around the corner, and we literally could not be any more excited for the highly-anticipated sequel. We already know this one is going to be bigger, better and way more wicked than the first, and Booboo Stewart let us in on some tidbits to expect in the DCOM. Trust us when we say there is a lot to look forward to with his character Jay, the son of Jafar from Aladdin, including the big decision Jay faces that has to do with Lonnie, Mulan’s daughter. 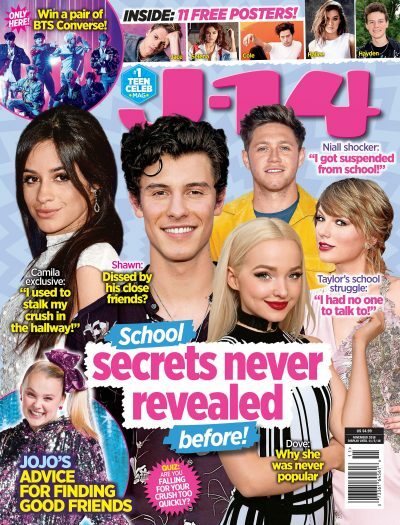 Not only does Booboo open up exclusively to J-14 about what to expect from his character Jay, but he also gives us some other fun secrets. According to the actor, he probably had the most blooper moments on set – oh how we would love to see those! The actor also revealed that he never ever saw himself starring in a musical, which is so hard to believe considering how awesome he is at singing and dancing. However, this role truly is so much different than when he played Seth in the Twilight saga. All we know is there is a lot in store for Jay, and we are seriously looking forward to watching!